Pregnancy Week by Week: Week 1: it's confusing! Trust me, it’s not easy to understand. My blog will help you get it clear and simple. I want to first explain what week 1 of pregnancy means. The typical 40 weeks of pregnancy that every woman is expected to experience starts even before you are pregnant. For those of you who are unaware, pregnancy happens when an egg leaves the woman’s ovary and begins it’s decent into the fallopian tube. If it is met by a sperm from a male there and fertilized, then they will travel together to the uterus where all of the magic starts to happen. If the egg is not fertilized, then the woman will have her monthly period. Week 1 of pregnancy is when the egg is traveling and hoping to meet the sperm. So technically, you aren’t pregnant at this point. What I want to talk about, is 1 week after conception, which actually would put you around week 3 since conception happens around 10 days after the egg is released. Are you confused yet? Trust me, it’s not easy to understand. Take a look at the following calendar and let me explain it a little better. Ok so the purple star, which is on the 6th, is what the doctors are going to count as the start of your pregnancy. As you can see though, you aren’t actually pregnant yet. During the fertile days, which run from the 17th through the 20th, you are able to get pregnant. The red heart is when the sperm and the egg have actually traveled and are now attached to the uterus. On the yellow smiley face, which is what we are talking about here as being your 1st actual week of pregnancy, you probably won’t know that you are pregnant. (Please remember that each woman’s cycle is different and will not be exactly like this one.) The signs of pregnancy week 1 (which remember is really week 3) can be very faint and also seem like many other things. An increased amount of gas or constipation. Progesterone, a hormone that is released during pregnancy, slows down the movement of food through the gut. Fatigue. This is one of the most common first signs of pregnancy. Progesterone is responsible for sucking all of your energy out as well as lowering your blood pressure and blood sugar, which also don’t help with fatigue. Nausea. Becoming nauseated is caused by the increase in estrogen that happens so fast. Tender breasts. This is caused by hormonal changes that begin happening as early as two weeks after conception. Mood swings. All of the changes in hormones can cause mood swings, along with fatigue. Cramping or spotting. When the egg implants, you may have a small amount of spotting and cramping. The spotting is usually lighter in color than you would normally have and the cramps are similar to menstrual cramps. Dizziness. Once again, progesterone causes a drop in blood pressure. Be careful when standing up quickly! Headaches. The extra hormones increase your blood circulation, which can cause headaches. The problem is that most of these symptoms mimic Premenstrual Syndrome (PMS) which occurs before your period starts. So if you are unaware that you are pregnant and haven’t missed your period yet, you may just think that Aunt Flo will be arriving any day. 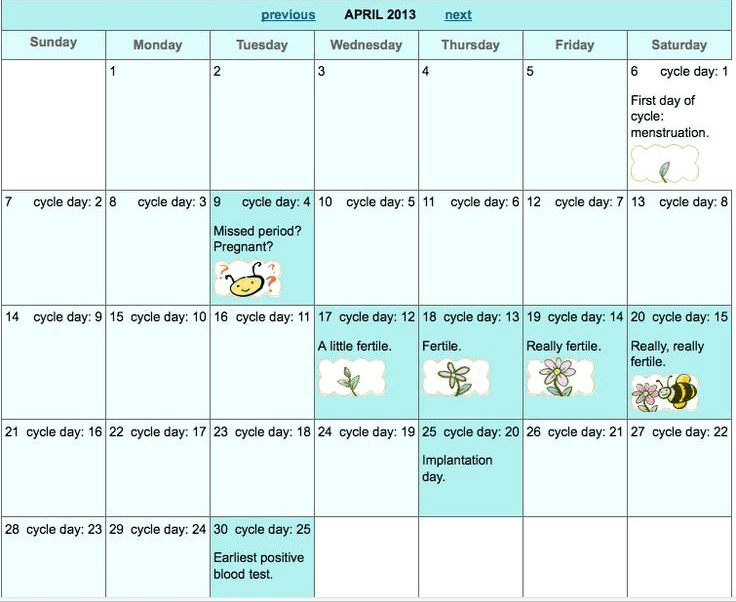 Pregnancy week by week will vary with each person, and even with each pregnancy. Fortunately for me, I only had nausea with one of my children, and it only lasted a few days. Your pregnancy signs during week 1 may not even be there, which is okay. Some people are more in tune with what is happening in their body than others. Also, if you were trying to get pregnant, you may swear that you are feeling all of those symptoms, but you aren’t. The best thing that you can do if you think that you are pregnant, is to start taking care of yourself and wait until after your missed period to take a test. I’m pregnant, so now what? If you are trying to get pregnant, it is a good idea to go ahead and start taking prenatal vitamins like these Nature Made Prenatal Vitamins with DHA. They are my favorite choice because the pill goes down easy and it’s not so big that it chokes you. If you have a hard time taking them, I would suggest that you take them after dinner or before you go to bed. Taking them in the morning on an empty stomach isn’t always a great idea. It is very important to take care of yourself while you are pregnant. You should stop drinking alcohol, smoking cigarettes, and if you are taking any prescription medications, you should call your doctor to make sure that they are not harmful to your baby. It is also imperative that you stay away from certain foods. Those foods include raw meat, fish high in mercury (swordfish and shark are two examples), deli meats, raw eggs or shellfish, soft cheeses, or unpasteurized milk. All of these foods can possibly carry bacteria that could be harmful to you and your baby. You should also cut down on your caffeine intake and make sure that you are staying hydrated and drinking lots of water. You may find it informative to buy a pregnancy week by week book to give your insight as to what is happening inside you. One of the most popular ones is What to Expect When You’re Expecting which is something that I highly recommend for first-time parents. (I had a 7-year gap between my first and second and I bought it again because I had forgotten!) This book will also give you valuable information and tips on how to have a healthy pregnancy. I would honestly start reading it as early as week 1 of pregnancy so that you can be as educated as possible. Good luck with your pregnancy!